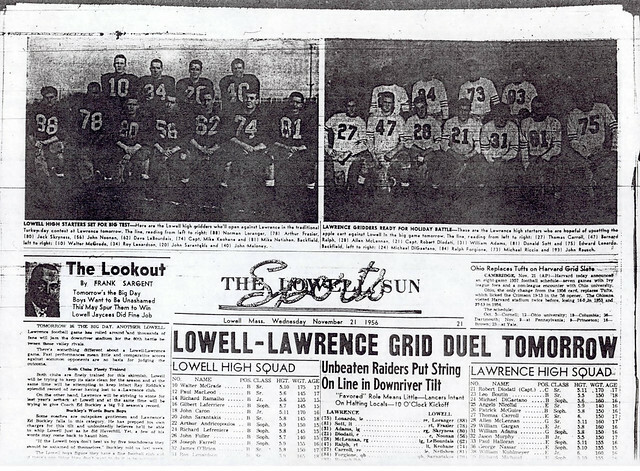 One of the many standout lineman who were the unsung heroes of the legendary teams of Hall of Fame Lowell High School Football Coach Ray Riddick, Jack Noonan followed up an outstanding career on the gridiron for the Red and Gray with an outstanding career of community service that impacted hundreds and perhaps thousands of young student athletes in the Greater Lowell area. 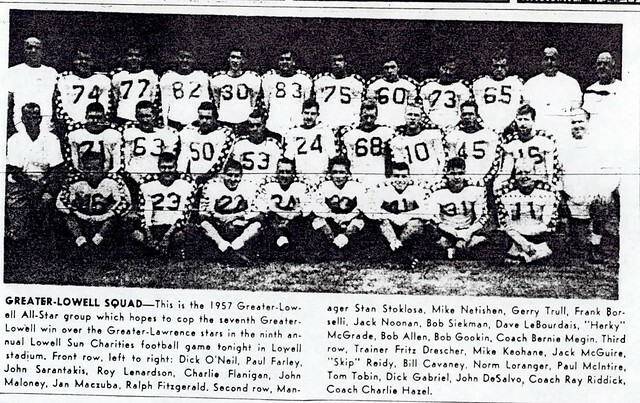 A 3-year starter and team leader at center offensively and middle linebacker defensively, Jack was one of the bulwarks of the front lines of undefeated Red and Gray State Championship teams in both 1954 and 1956. 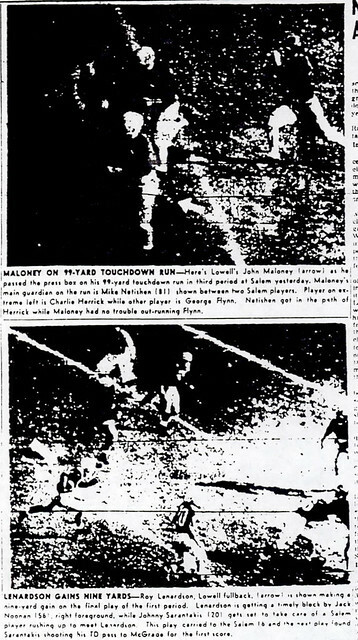 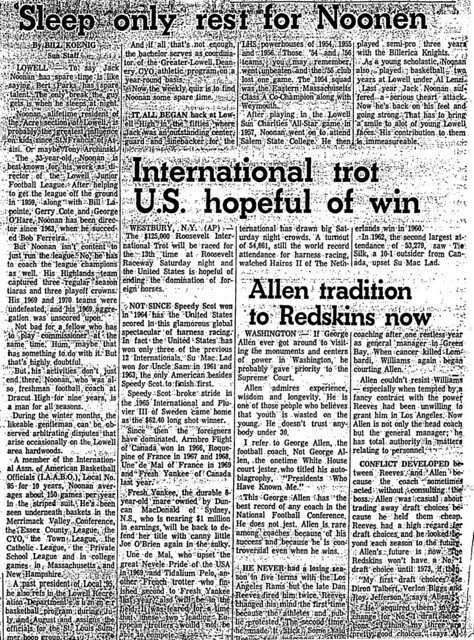 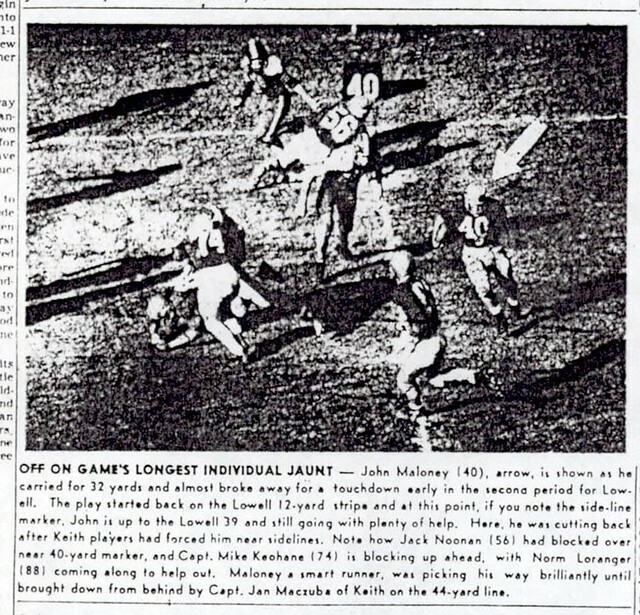 Jack also manned those same positions during the 1955 campaign that saw the Raiders lose only once, the only time that Jack played in a losing game in his high school career. 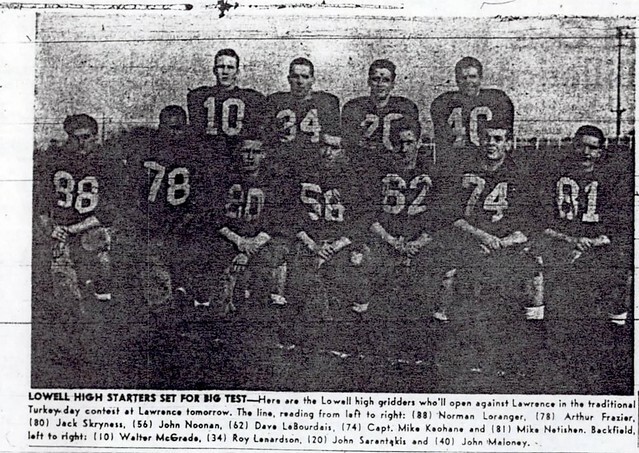 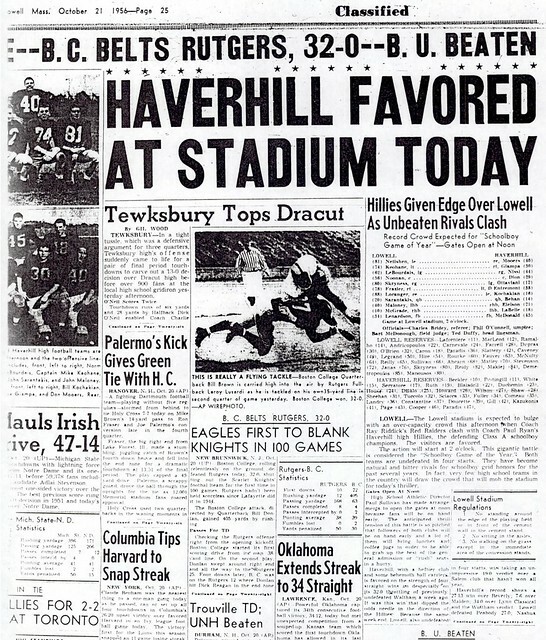 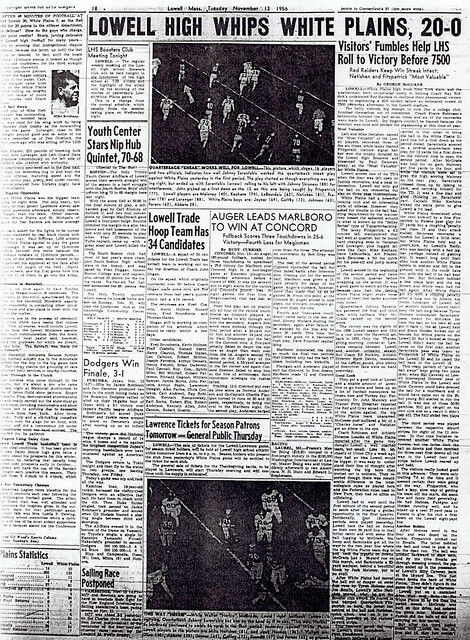 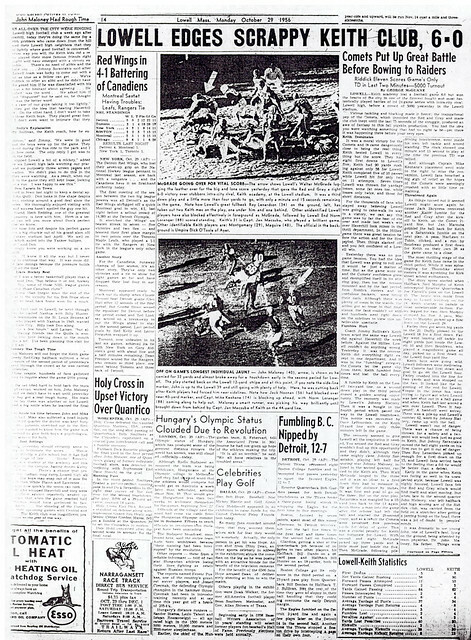 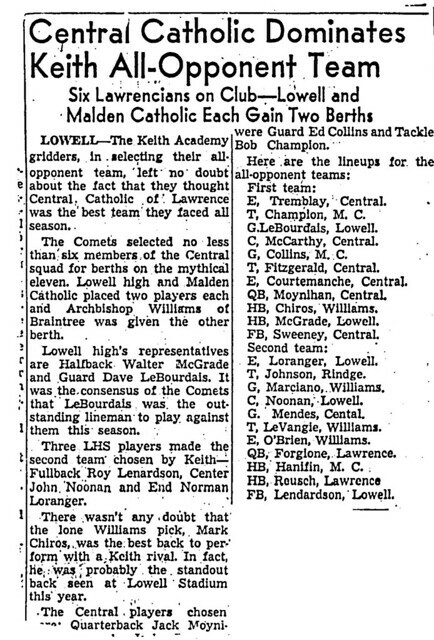 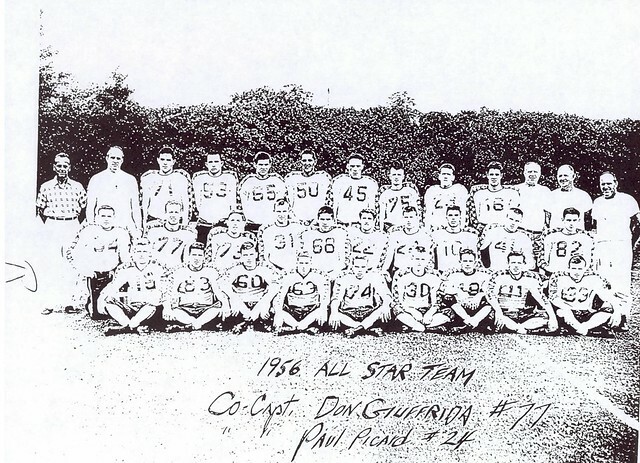 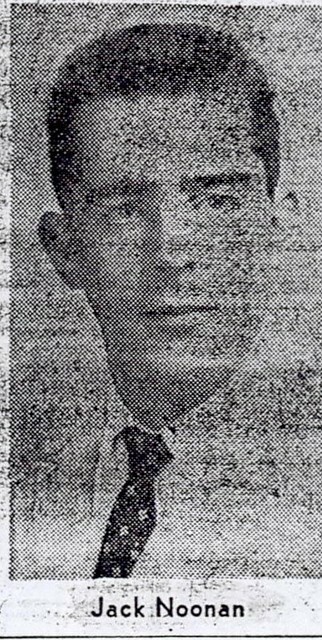 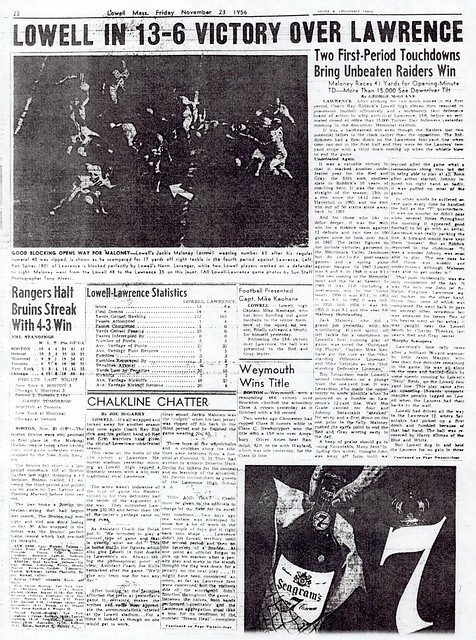 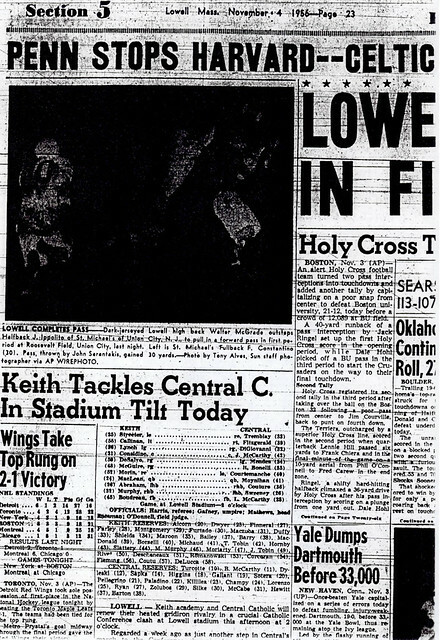 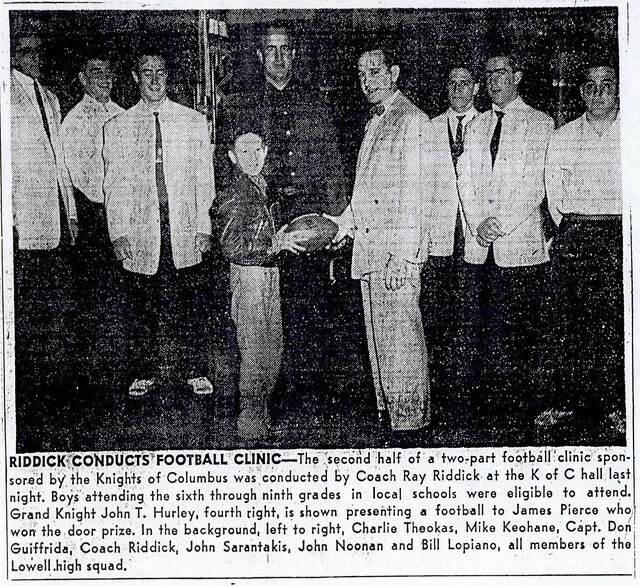 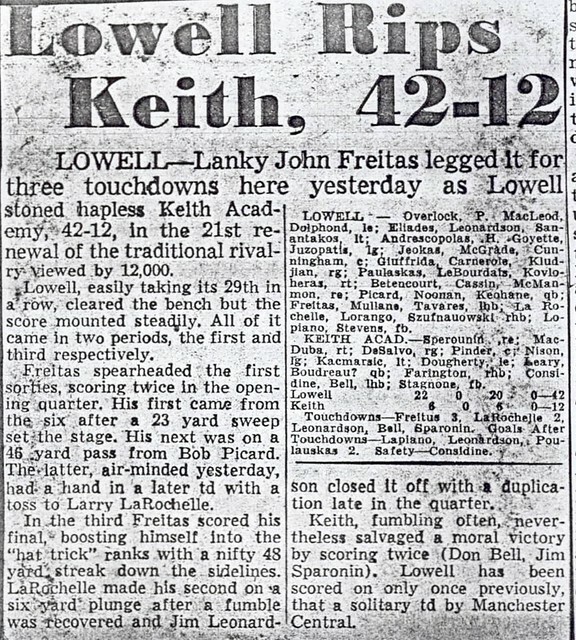 In 1958, Jack was one of the founders of the Lowell Junior Football League. 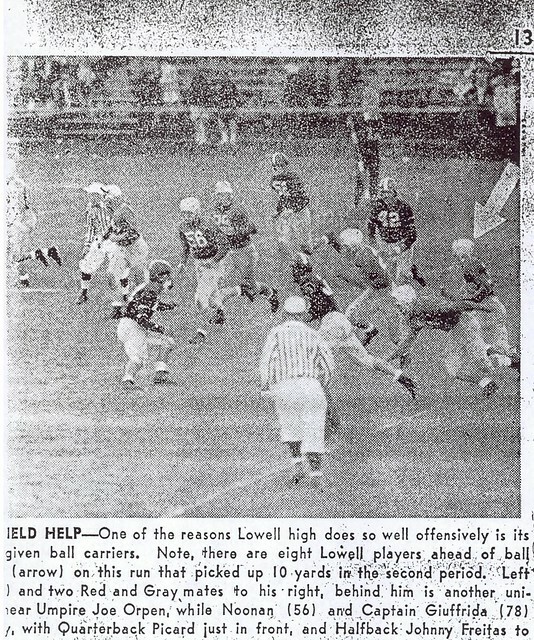 During the next 21 years, Jack served as coach, scheduler, director, and CEO of the highly successful Junior League, which many felt was like a “minor league” for the Lowell High School football program. 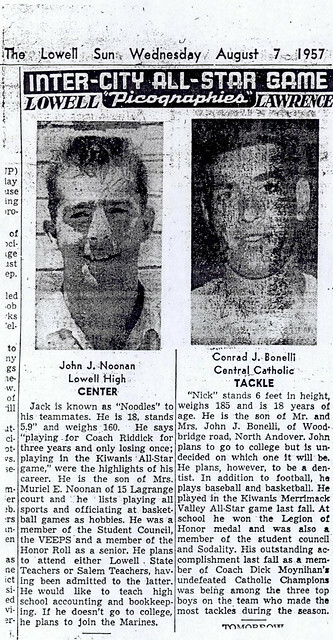 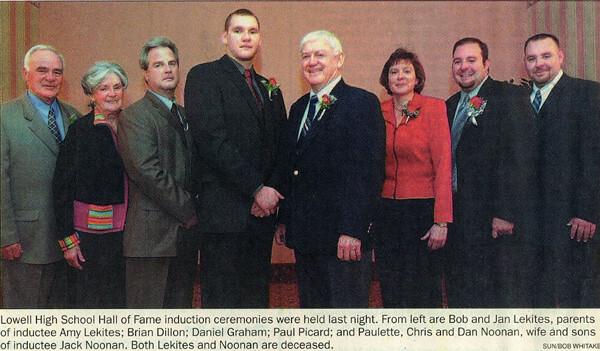 During his association with the Lowell Junior Football League and the Lowell Junior High School program, no fewer than 11 future Lowell High School Football Captains, including future LHS Hall of Famers Bruce Brown and Bill Capone, benefited from the leadership and dedication of Jack Noonan. 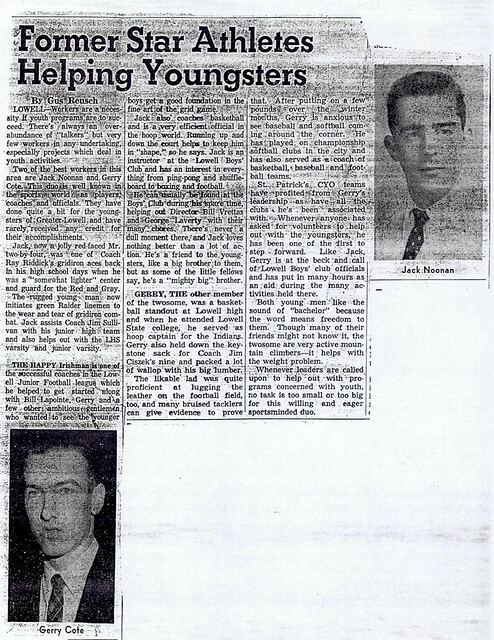 Jack began officiating basketball games at the YMCA while still in high school in 1955. 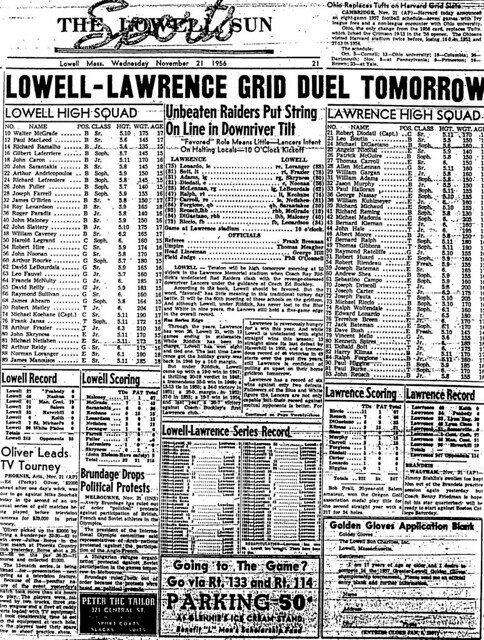 Jack later became a member of Lowell Board No. 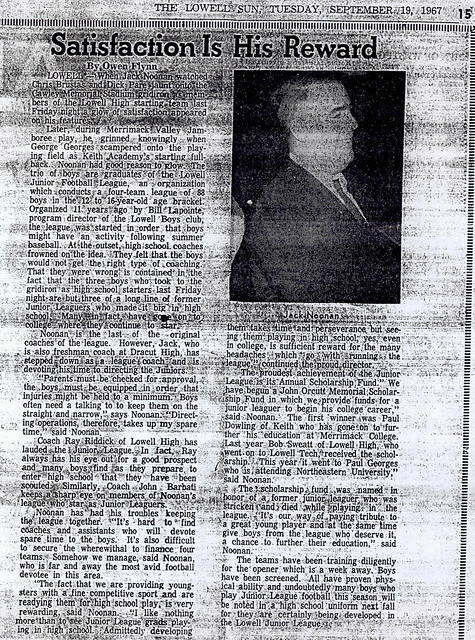 95 of the International Association of Approved Basketball official (IAABO). A highly respected basketball official at both the high school and college levels for 38 years. 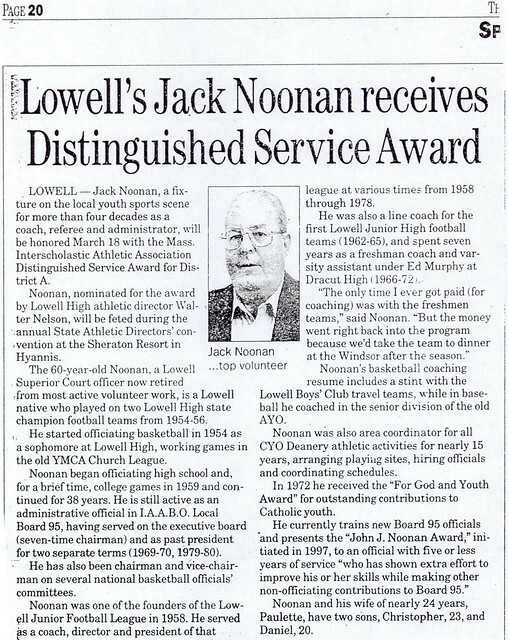 During that time, Jack won numerous honors at the local and state levels in the IAABO, including 2 separate stints as Lowell Board 95’s president. 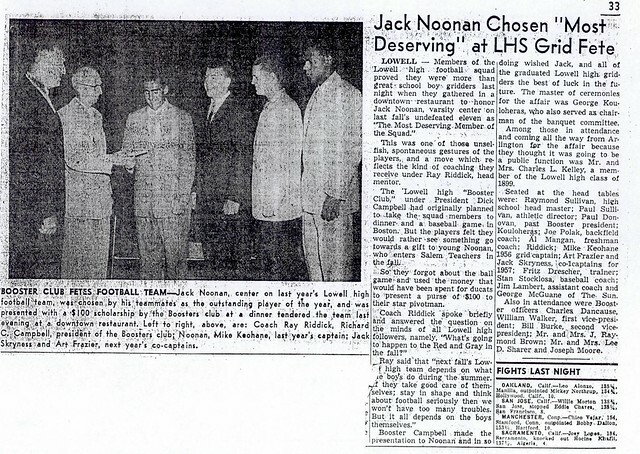 Jack’s expertise was recognized at the state and national levels as he served on numerous committees during his tenure as an official. 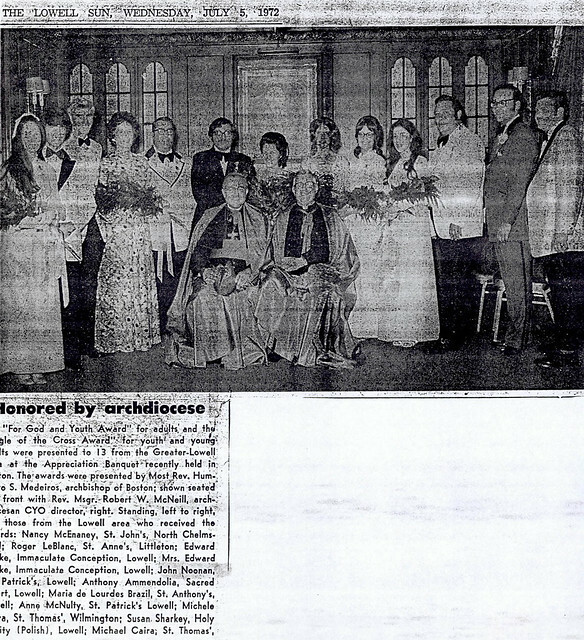 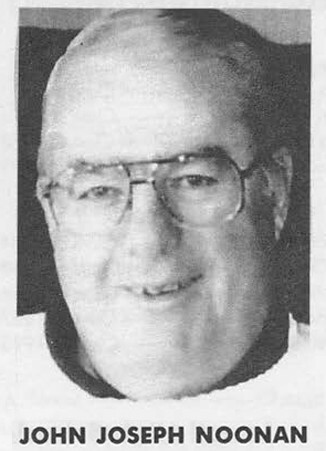 In 1972, Jack received the prestigious “For God and Youth” Award from the Archdiocese of Boston for his outstanding contributions to Catholic youth based on his tireless efforts as Lowell area coordinator for all CYO Deanery athletic activities for nearly 15 years. 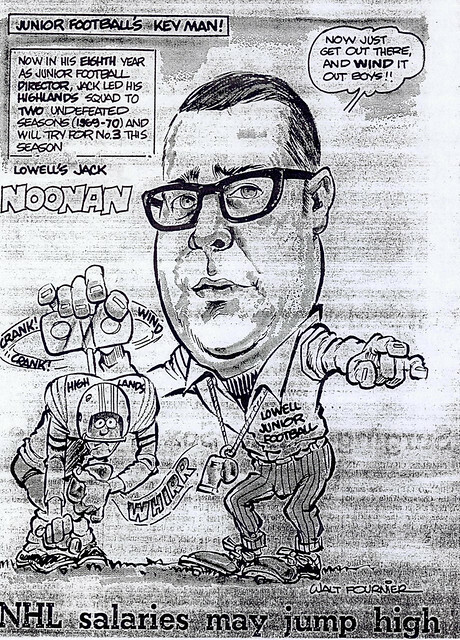 Finally, in 1999 Jack received the Massachusetts Interscholastic Athletic Association’s Distinguished Service Award, an award presented to those select few who have demonstrated long-term dedication to high school athletics.